Eyeliner is so rewarding in the short term, yet so frustrating in the long term. 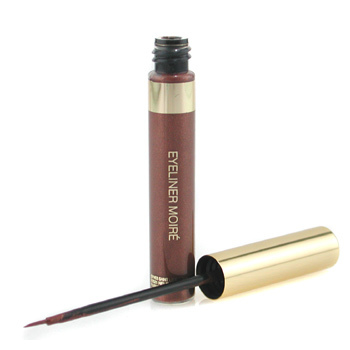 How many times have you applied it to your eyes to get a dramatic look…that ended up lasting about 24 hours too long? What is a crossdresser to do? It’s a multifaceted problem, really. The initial problem is simply removing the make up. The broader problem is, after you are unable to remove the make up, going to work or a social function and having to answer to people who ask, “Are you wearing eyeliner?” It’s annoying, awkward and none of their business. Yet it can be expected that at least one person in a handful of peers will pry just the same. We might as well accept that we will never remove all the eyeliner from our lids in a single night. We can scrub and scrub and rub and rub, but traces are going to remain well into the next day whether we want this or not. So the question is this: What can we do to remove most of the eyeliner? There are make-up removing products out there, but frankly, we don’t need to shell out the money for these things in nice packaging when we can get the raw materials for much cheaper. See, the main ingredient, if not the only ingredient, in most of these products is an astringent called witch hazel. You can purchase it for roughly the same price as a bottle of rubbing alcohol. Dabbing it on a cotton swab and rubbing it carefully along the edge of the lids does the trick about as well as it can. Apparently, Vaseline has a similar effect and is less irritating if it gets in your eyes. I have yet to test this, though, and witch hazel is thus far unmatched to me. It can be equally difficult to dealing with the nosy busybodies who ask questions about that eyeliner you didn’t quite remove the whole way. The simplest answer, which is rarely followed up on, is simply, “it’s a bedroom thing…you don’t want to know.” Most people, at that, actually do want to know, but will refuse to cross into the taboo of asking you to elaborate. The most likely case is that they will presume you to be “naughty” and shrug you off in their own embarrassment and sexual longing. It is also helpful if you play music or are involved in theater. If you are involved in one of these trades, most people automatically assume that eyeliner goes with the territory. A world of answers extend before you in this case. Why are you wearing eyeliner ? Because I played a show last night. Of course! What’s up with the raccoon eyes? I had a dress rehearsal. Oh, duh! Now I’m not condoning that you lie to anyone. However, I sincerely recommend you stretch the terminology of your crossdressing. Maybe you didn’t rock out your guitar on a stage, but the terms “play” and “show” need not necessarily be referring to anything public. Likewise for a dress rehearsal. I have, myself, rehearsed several dresses in the past just to see if they look okay on me. There is always the entire truth option, as well. Why are you wearing the eye makeup? Because I got into some crossdressing last night. Say it casually, with a smile, and the other party will likely feel foolish to question you further. “Was he being sarcastic?” they will wonder. And always keep this one thing in mind: Anyone who asks about something as subtle as eyeliner is obviously excited by it in some way. This can be used to your advantage. And you know…if they were not around to see what you were doing with all that eyeliner, what does it really matter what you tell them anyway? Exaggerate and fib to your heart’s content!